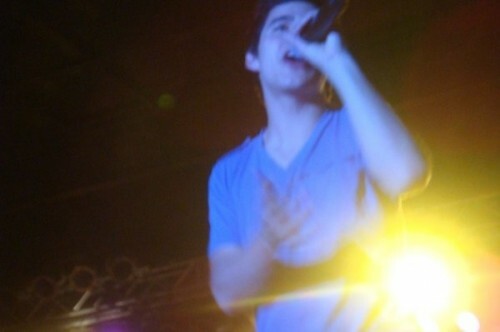 Memphis music As a fan of David Archuleta, it doesn’t get any better than being able to see and hear him live. Last Sunday night I caught his acoustic set at the Delta Fair & Music Festival, an annual event in Memphis, Ten­nes­see. He was awesome, amazing—every superlative adjective you can think of! This Photo of the Week is dear to my heart because I snapped it myself up close & personal. It’s not a perfect photo, but nothing beats having a photo of David in your own camera. It is kind of like hearing him on your cell phone. 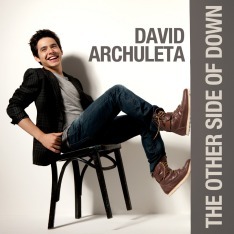 It’s not the best audio quality, but David Archuleta is on your phone! Did you miss the “Song of Strength” photo last week?